First trade of the year and also my first live (real) trade! Short EU at 1.36151 – there was no directional bias as we’re still within the week’s range. The manipulation point that created the stop run was based on yesterday’s session high during NY and had been tested sporadically earlier on in the week, but really it is a fairly weak level in comparison to others. The first red candle created a stop run, the second candle confirmed down and the fourth candle provided adequate pull back for a short entry. My 1.36151 entry was 6 pips from the stop run. 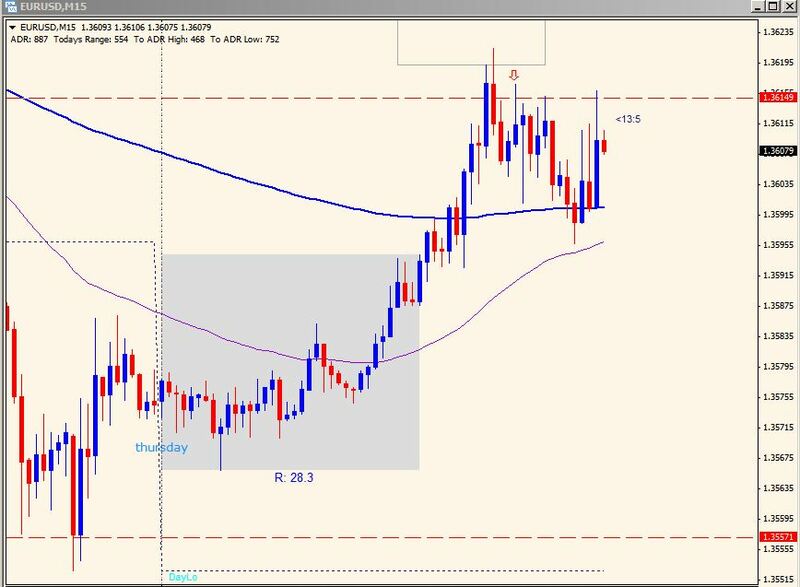 Being aware that there are 3 reasons for closing a trade (stop loss has been reached, stoprun goes against the trade or start of NY open) I ended up closing just before the NY open with 0 pips.